The company will be holding their annual Christmas join a party and private parties. 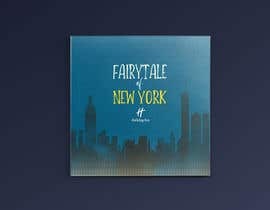 This year the theming is Fairytale of New York. 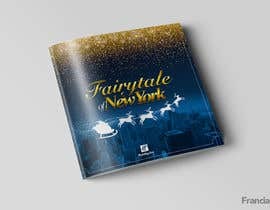 A 10 page brochure is required, with each page reflecting Christmas and New York with information (Pricing, menus, other offers etc), a front page has been done, however if you are creative and willing enough we are open to a new design for the front page. NOTE: DESIGNS SHOULD MAINLY BE OF THE INSIDE PAGES NOT THE FRONT COVER. PLEASE DO NOT MAKE IT SIMILAR TO 2017&#039;S CHRISTMAS BROCHURE. 3. Will need to send through the packaged Adobe Indesign document in CS5 for us to make any future changes in required. 4. Text will be provided for each page, which will need to be designed and placed on each page. 5. Front page is provided, however if you are able to come up with something more creative to reflect the theming we are open to it. 2. The winner will need to work with myself to get the brochure complete, as feedback will be continuously given by myself on each page to get it accurate. We are looking for someone who is flexible, creative and is fast paced to help us with this. The company has many new projects coming up, and we are looking for someone to work with on a continuous basis. 1. Last years &#039;Magical Kingdom&#039; Brochure has been attached for your perusal. Let me know when we can start work on other pages..
Hi there! Please check #83. Please review my revised entry #66 , Would be thankful , if you provide feedback.. Working on it, please don't your contest too soon. 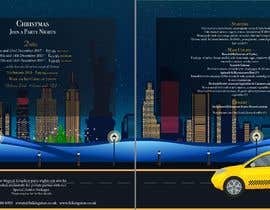 Our Christmas party will be having many New York themed props such as - a large sundae, Baseball players, yellow taxi, macy's cut out, empire state building cut out, broadway lights and curtains, a large pizza etc etc. 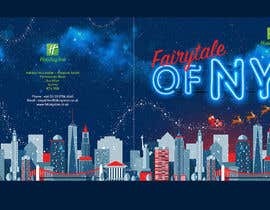 Though it will have a Christmas theme (fake snow, Christmas trees and lights), it will be very vibrant to reflect everything of new York. Thus, it would be great if each page could have a different theme to highlight this. 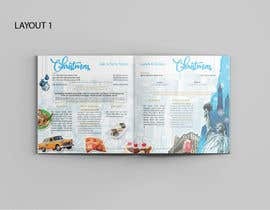 The front cover is not of much importance, its important for me to be able to see the designs inside, the text will be provided to you after you have won, Kindly please use our previous text, prices, menus etc as an example and create the inside designs. Dear Contest Holder, Please have a look at my entry #35. I have question. 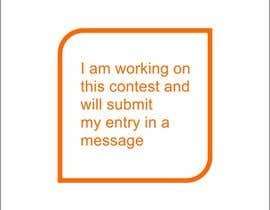 This contest will be about the cover, and who ever wins will finish the work or are we supposed to deliver the entire brochure? if so, are you gonna atach the texts for the new brochure soon or should we use the text from 2017? Hi, will you accept Adobe Photoshop file as well instead of Indesign? Sir please, send me what are the files that you want to write in the brochure? Where it is possible to take the text on pages? Can I design a layout in Photoshop? can it be in photoshop?